Thanksgiving. Two weeks from tomorrow. What?!! Although I'm not hosting Thanksgiving this year, I can't help but be excited over a pretty tablescape. I love placemats, pretty napkins, napkin rings, flowers, and seasonal table décor. 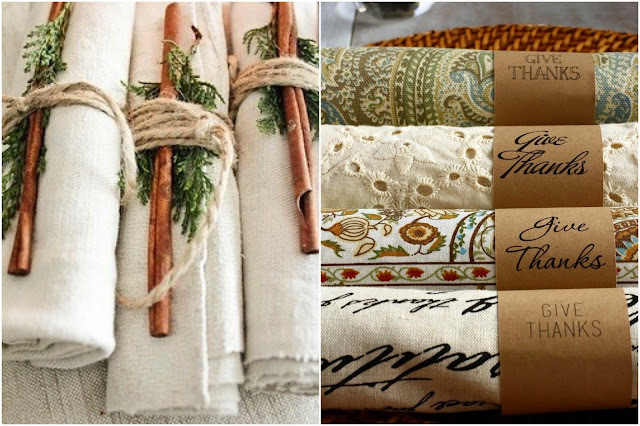 Investing in seasonal or holiday table linens can be expensive, but it really doesn't have to be... just add a new piece or two every year, and you will soon have a beautiful collection. 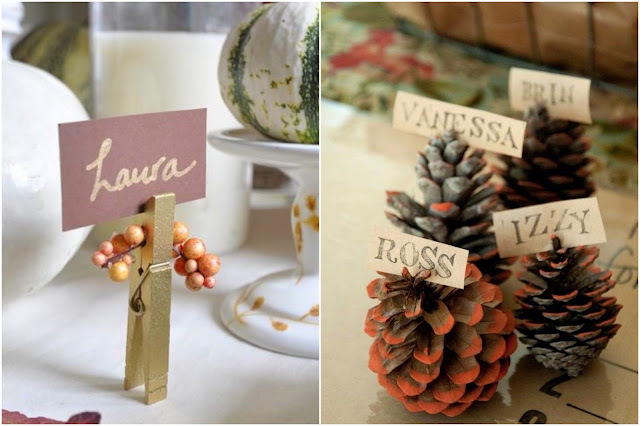 While you're building your seasonal collection, there are many inexpensive and DIY options that look just as great! Here is some Thanksgiving table inspiration that I can’t get enough of... functional, not over the top, and fairly easy to execute. I'm a fan of place cards... I feel like they show that you thought about the people attending before they arrived. Use clothespins or pine cones to make seasonal seating cards that, although inexpensive, still have impact. 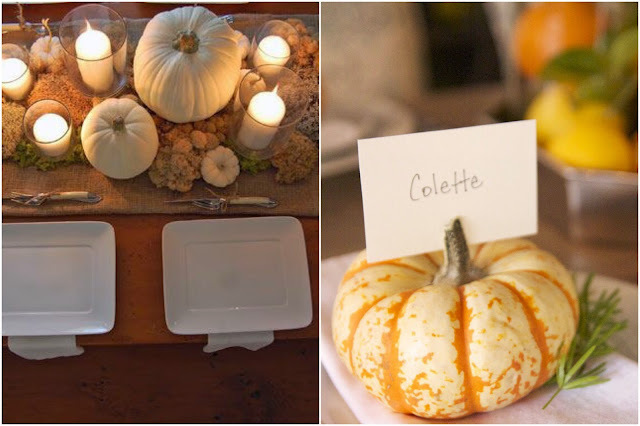 Pumpkins and gourds can create easy and beautiful centerpieces that are simple to throw together - and they last a long time, so buying them in advance is not an issue. Or, use smaller pumpkins for seat assignments! 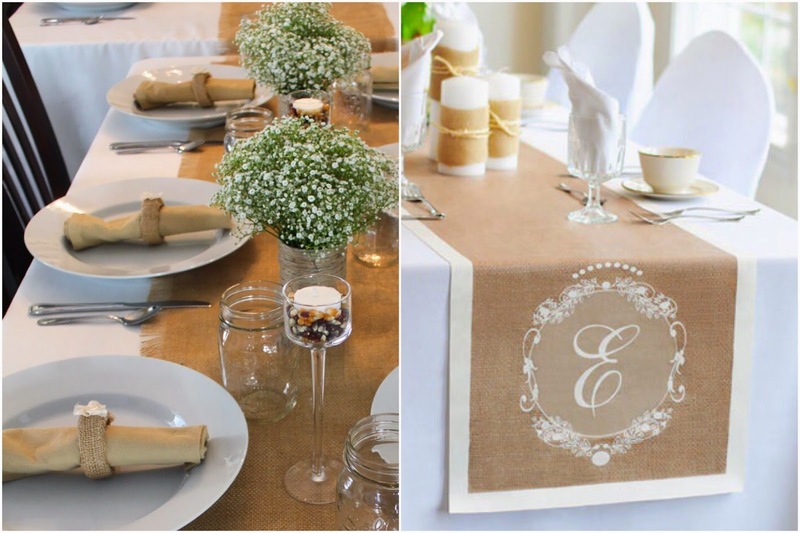 Burlap is quite in expensive and a great way to make an impact on your table without breaking the bank. 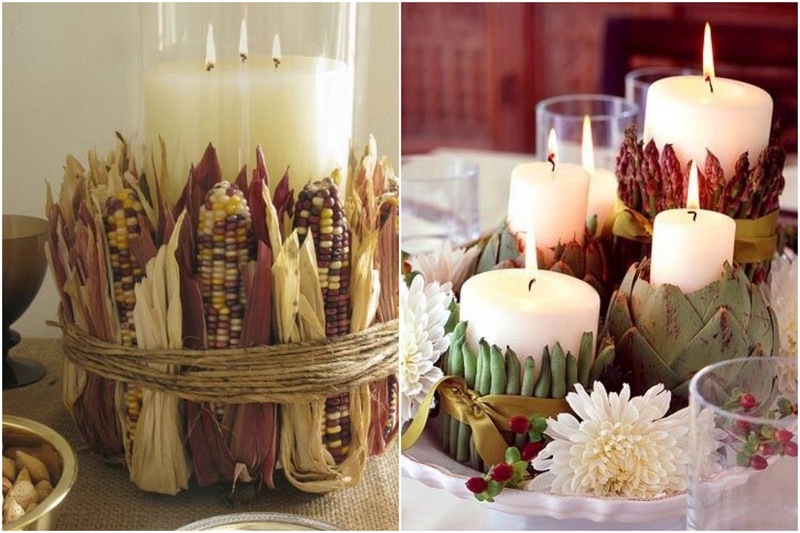 Incorporate as a table runner, place mats, or tie around some pillar candles. Napkin rings can be expensive to buy - I'm talking like $8 a piece at Pottery Barn, and who wants to spend over $100 on a matching set?! But you can make festive napkin rings quite easily! Use twine, a cinnamon stick and some greens, or make a cute printable on brown paper! I don't know if I could pull off green beans and asparagus around my candles (too risky for a Pinterest-fail), but they look quite beautiful in the picture below. Tie with satin ribbon or twine... easy-peasy! Who doesn't love the beautiful color of cranberries?! They bring a perfect pop of color to the Thanksgiving table. Simply throw them in a vase with flowers or candles, and you've got yourself a beautiful arrangement. 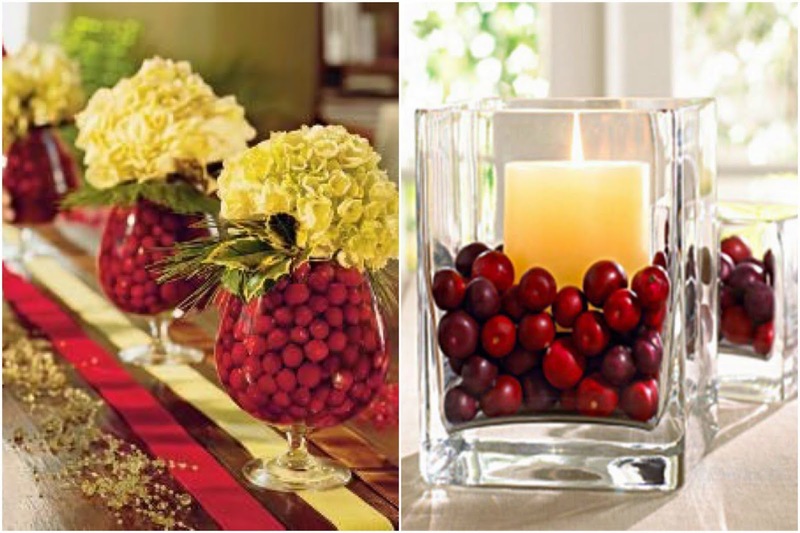 For an even fancier effect, put the cranberries and a floating candle in a vase with water... they will float to the top and their color will be extra bright! How do you decorate your Thanksgiving table?! Oooh I LOVE these ideas!!! We are hosting a big group this year for the first time (usually it's just 6 of us...this year it'll be 11!) and I think place cards would be super cute! You should link this up with Jessi and I today! I can't wait to host a Thanksgiving in our home one day! I would love to set up our table and present it very nicely. Emily would just love to take part in some of these place cards! I love the rustic and simplicity of all these looks! Oh I love the acorns and the candles are so pretty! Ha, I was literally just thinking I needed to start Pinning ideas since I'm hosting Thanksgiving (FOR THE FIRST TIME) this year. Thank you!!!! Love the pine cones and the pumpkins so much. Anyway, I wrote: I love the personalized name cards! swooning over all of this. We have yet to host thanksgiving but holy cow when that day comes I will be decorating that table with place cards, pumpkins, etc.! Love these ideas! Posting about thanksgiving tablescapes today too! so much inspiration! we are hosting Thanksgiving this year and I need to step my table game up! Those cranberry centerpieces are gorgeous. I feel like I can't ever pull things like these off, but they are absolutely stunning.